Experts say solar-induced electrical blackouts will eventually happen, and try to predict the cost of an event. A new study that looked at the cost associated with a solar-storm-induced electricity blackout in the United States says such an event could cost the country as much a $40 billion per day, according to the American Geophysical Union. A paper published in the group’s journal, Space Weather, and co-authored by researchers from the Cambridge Centre for Risk Studies at University of Cambridge Judge Business School, the British Antarctic Survey, the British Geological Survey and the University of Cape Town, adds as much as half of the loss could be attributed to indirect costs outside of the blackout zone as well. “On average the direct economic cost incurred from disruption to electricity represents only 49 percent of the total potential macroeconomic cost,” according to the paper. the study focused on three geographical scenarios for blackouts, and was guided by a conference at Cambridge Judge in July of 2015. The first scenario, in which only eight percent of the US population in the northern states would be affected, the study placed the economic loss at $6.2 billion per day, with an additional $0.8 billion international supply chain loss. The second scenario, impacting 23 percent of the population, was estimated to have a daily cost of $18.7 billion, direct and indirect costs, while the third scenario, at 44 percent of the population, came in at $42.5 billion per day in global costs, based on 2011 US dollars. 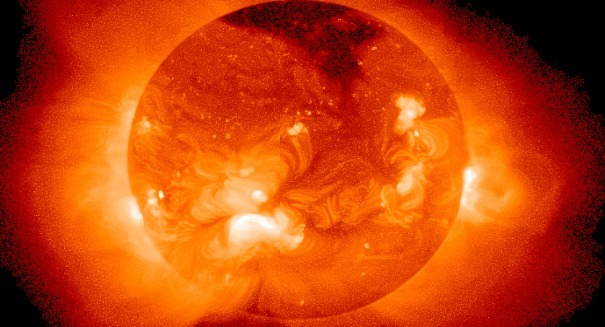 “We felt it was important to look at how extreme space weather may affect domestic U.S. production in various economic sectors, including manufacturing, government and finance, as well as the potential economic loss in other nations owing to supply chain linkages,” says study co-author Edward Oughton of the Cambridge Centre for Risk Studies at Cambridge Judge Business School. “It was surprising that there had been a lack of transparent research into these direct and indirect costs, given the uncertainty surrounding the vulnerability of electrical infrastructure to solar incidents,” he continued. The report continues to say the manufacturing sector in the US would be the hardest hit, followed by government, finance and insurance, and property. Globally, China would be most affected by a US blackout indirectly, with Canada and Mexico also being impacted.